Networking is a part of life, whether you’re doing it to advance your career or just being social. There are a lot of ways to connect with others who share your hobbies, interests, and community. The obvious ones are Facebook, LinkedIn, and a host of other sites and apps which can help even the most reluctant social butterfly spread its wings. Today, though, we’re going to focus on 3 lesser-known networking applications we think have a lot to offer those looking to expand their professional or social networks. Weave claims to be “the easiest way to expand your professional network,” and they may be right. 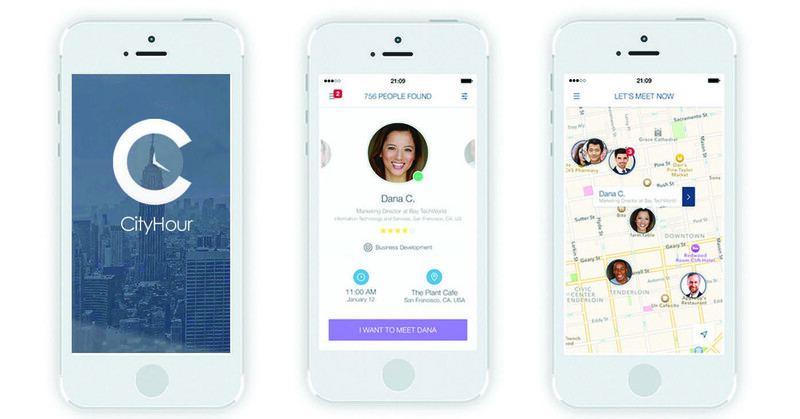 The app, which comes to us from Decide.com’s Brian Ma, seeks to “lower the bar” for professional networking by letting users search for and meet like-minded people in their area. Founded in 2013, Weave has so far received over $120,000 in funding from a series of investors, including Darling Ventures, Social Starts, and New York’s venerable startup incubator YCombinator. Weave takes something boring (networking) and makes it easy, fun, and accessible. Building a profile in the app is as easy as logging into your LinkedIn profile. From there, all you have to do is “swipe through” other users to find who you’re looking for. The “Tinder” mechanism of clicking left to pass and right to like makes this app un-put-down-able. You are also a lot more likely to actually look at the profile pic and read the description of the person than you are when blindly adding contacts on LinkedIn, because this information is front-and-center in Weave. Taking a tried and true feature like Tinder swiping and applying it to a different genre of app was inspired-take note, mobile app entrepreneurs! Unlike traditional networking platforms (LinkedIn), the goal of Weave is for users to actually meet one another. All too rarely, we acquire connections on networking sites for the number, rather than the opportunity they may offer us. Weave pushes users to meet in real life by opening chat-rooms for users who indicated they would like to “meet” one another (there is a double opt-in system, like in Tinder). Users have 48-hours to start a conversation about a potential meeting before the chat-room closes and the connection is lost. Bringing digital interactions into the real world should be the goal of any networking app, since face-to-face meetings tend to be more productive than their online equivalents. When it comes to making connections and setting up meetings, Weave makes it easy to know exactly what you are getting into before you even take the first “swipe.” Users can narrow down potential matches by location (neighborhood, city, state) and interest (general networking, looking for a job). This facilitates honesty in the app, meaning users can trust that the person the app connects them with is actually who they want to connect with. If you want to start growing your professional network, take the first step by downloading Weave from the App Store or Google Play. It’s free. We’ve all had the experience of having an hour or two to kill after work, and wishing that there was a more productive way to spend it than surfing Reddit or playing Candy Crush. What if you could use that time for networking instead? That’s the premise behind CityHour, an app which aims to connect busy professionals for face-to-face meetings during gaps in their respective schedules. CityHour comes to us from TrueBear Co., whose management splits its time between its headquarters in San Francisco and a dev center in Kiev, Ukraine. So far the company has garnered $500,000 in investments from two unnamed Angel investors. What’s so great about CityHour that people are willing to bet a half million dollars that it succeeds? It allows users to optimize their free time by giving them real-life, actionable information about others in their network. Users identify when they are free to meet, either with a “Let’s meet now” function that opens a 2-hour window, or through the app’s calendar (which syncs with your iPhone’s native one). The app then shows other professionals who match your search criteria currently available for a meetup; it even allows you to set a rendezvous-point through Google maps. Unlike other networking apps which only give you the opportunity to schedule a meeting, CityHour actually does it. This has the potential to be a real hit amongst busy professionals strapped for time. It’s perfect for business trips and conferences. This may sound self-evident, but one of the hardest things about travelling for work is having no idea who might be available for meetings, or where you should meet if the opportunity were to arise. CityHour solves this problem by letting users choose where to look for professionals who match their search criteria, and automatically adjusting schedules and meeting-proposals according to time-differences. This means that you don’t have to worry about accidentally setting a meeting for midnight because you forgot about the time difference between New York and Tokyo. It’s a simple feature that makes life oh-so-much easier. CityHour saves users a whole lot of time and energy searching for and scheduling meetings. Since the app syncs automatically with users’ iPhone calendars, you don’t have to remember to update your appointments manually. This app is an all-in-one for finding, arranging, and scheduling meetings. CityHour is currently available only for the iPhone, but expect an Android edition later this year. “Networking” isn’t just about meeting professionals; it’s also about meeting and making time for friends. Ufree makes that easier than ever by showing you which of your friends are free right now, and which will be free in the near future. The app also features an “Event” portal which allows users to create, view, and get directions to nearby events like BBQs, concerts, and games. Ufree was founded by Arizona State Alum Stephen Ost when he was still a university student, and is currently working with a $75,000 seed from multiple investors including the Arizona Center for Innovation. So why do we think you’ll love Ufree? It lets you see which of your friends are available, and for how long. Users can also limit their exposure by selecting which of their friends have access to their schedule. If you don’t feel like letting the whole world know that you want to get coffee from 2 to 3:30 on Wednesday, that’s ok. Once you do find a friend you’re interested in sharing your social calendar with, you can create plans with him/her and share them with additional friends. 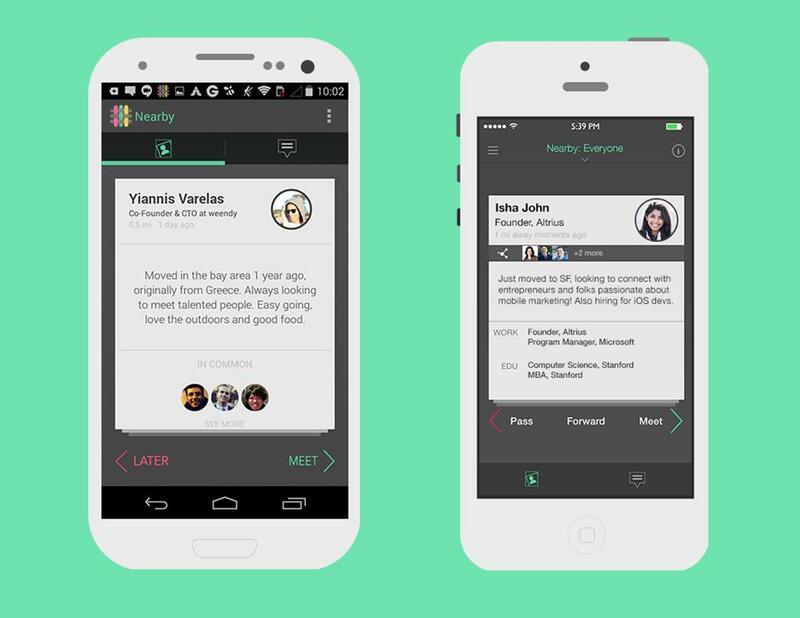 Ufree lets you choose just how “social” you want to be, and we think that’s pretty great. The events section of Ufree is brilliant, and ripe for monetization. Not only can users create their own events and send out invites, they can also see information about bigger, public events like concerts, basketball games, etc. This presents a great opportunity to Ufree, who could charge for targeted advertisements delivered through the app. Ufree is cleverly integrated with FourSquare, which is nice for when you’re figuring out where to meet a friend. FourSquare also comes in handy when you’re meeting friends at an event and want to let them know you’ve arrived without sending a half-dozen texts-just “check-in” instead. Ufree is currently available for download on the App Store. All you Android users out there will have to wait a few months to get started. If you’re thinking of building your own mobile networking app, there’s no better place to start than Yalantis. We’ll help you brainstorm great features, clever integrations, and monetization strategies that keep everyone logged-in and happy.